Our guest, Cindy Stradling, who is a resilience coach, has faced many difficult life challenges as a single mother with very little education and has developed the mental fortitude to keep going no matter what. In getting from there to here, Cindy has shined shoes, waited tables, cleaned houses and was a parking lot attendant while building her business. Undeniably, she knows firsthand what resilience is. She has developed it through her journey and has developed a program, Thrive, to inspire others to be their personal best and keep moving toward their goals. If you set your mindset right and have discipline, you can be successful at whatever you want to do in life. For her Facebook, check this out. For her Youtube channel, watch here. To get in touch with Cindy, Email her at cindy@cindystradling.com. After spending 31 years in the corporate world as an operations and country manager, our guest, Tobyn Pearson, the author of Manage This: An interactive Guide to Management and Other Absurdities, had success and many failures. He learned that it's not always easy to see your grumpiest employees or customers. Treat them with respect no matter who they are and keep working on building relationships because in the end they will see that you genuinely care and your efforts will pay off. It makes life a whole lot easier if you're able to deal with difficult people and situations along the way. All of his successes are directly attributed to the great people he had the privilege of working with over the years. To learn more about Tobyn, visit here. For his LinkedIn page, discover here. To buy his book, Manage This!, click here. The Institute of Certified Bookkeepers USA (ICB USA). It promotes and maintains the standards of American bookkeeping as a profession through the establishment of relevant qualifications and the award of grades of membership that recognize academic attainment, working experience and competence. 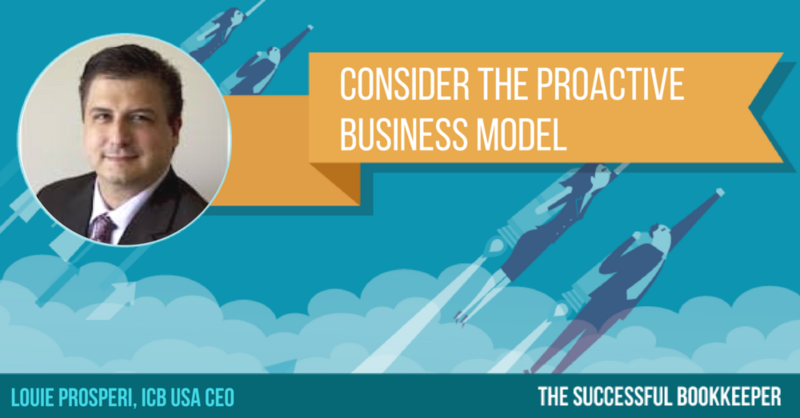 Our return guest, Louie Prosperi is the CEO of ICBUSA and his organization is helping its members by introducing The Proactive Business Bookkeeping Model to improve their success. To learn more about ICBUSA, visit here. For ICBUSA's Facebook page, click here. For its Facebook closed group, explore here. For Louie Prosperi's Twitter, discover here. Some bookkeepers don't believe they are good enough to close a deal or get a sale. According to Sharon Francisco, who used the Pure Bookkeeping System to increase the success of her bookkeeping business and is making her return appearance on our show, you need to find strategies that will give you confidence and take the pressure off of you so you can make the focus all about your clients. Having a 90-day plan and building a relationship with customers are key to gaining their trust and will make things easier for you. If you want to grow your business, you have to understand it doesn't happen overnight. 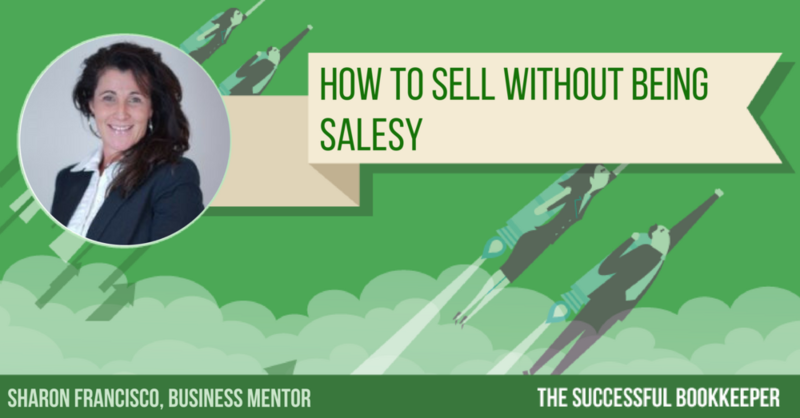 To read Sharon's blog post, How To Sell Without Being Salesy, visit here. To check out Sharon's checklist, go to this link. To see her LinkedIn page, explore here. To check out her previous Successful Bookkeeper podcast episode, listen now. Charge an hourly or fixed rate? It's a decision many bookkeepers, who are business owners, have pondered at one point or another. Our guest, Amanda Birch, the President of Birch Accounting & Tax Services, was one of them until she figured out fixed pricing was the way to go. For her, fixed pricing made sense because it is offered upfront so that clients would know exactly what they're paying for, whether it be bookkeeping or taxes, so they would not end up with a surprise bill at the end. That decision has worked well. Amanda's business continues to provide value while her customers have reaped the benefits. To learn more about Birch Accounting & Tax Services, visit here. For Amanda's LinkedIn page, click here. For her Facebook, discover here. To get in touch with Amanda, email her at amanda@birchaccounting.ca. It improves efficiency for your accounting and bookkeeping business. Our guest, Kellie Parks, a Certified Professional Bookkeeper and Financial Technology Expert, is a relentless organizer and believes cloud financial technology is the key to organization. While running her business, Calmwaters Cloud Accounting, she spends much of her days educating accounting firms and small to medium-sized businesses, but she loves taking care of her clients' day-to-day accounting needs. To learn more about Calmwaters Cloud Accounting, visit here. For Kellie's Facebook page, go here. To get in touch with Kellie, email her at kellie@calmwaters.ca. What impact do you have on your clients? Woodard exists to transform small business advisors to radically impact the way small businesses operate. Each business unit of Woodard serves to educate, support, and connect accounting professionals throughout North America and, increasingly, the world. It is led by Joe Woodard, CEO and Founder of Woodard Consulting and Woodard Events. He was recognized by Accounting Today as one of the Top 100 Influential People within the accounting profession in 2012, 2014, 2015, 2016, and 2017. In 2008, he was recognized by CPA Practice Advisor as one of the Top 40 Up and Coming Thought Leaders under the age of 40. Today, he has trained over 100,000 accounting and business professionals in the area of practiced developments, changing technology trends, strategic consulting and how to maximize the use of accounting software in their practices. To learn more about Woodard, visit here. For Joe's LinkedIn page, click here. For his Youtube Channel, discover here. Here are some Woodard Resources. b) www.woodard.com/techmakeover - Our video case study produced in a reality TV format that details the impact deployed technology innovations on small businesses. Step 1: Determine your cost to deliver a specific service or slate of services. Clearly defined scope is key. Step 2: Determine the price needed so your firm has the desired margin. Step 3: On a regular basis, monitor the costs you incur. *Note: Wealth is not always financial. It could be advancements in the clients scalability, infrastructure, peace of mind, company culture, quality of services delivered, etc. It’s the heart of the global economy. Our guest, Keri Gohman, President of Xero Americas, is passionate about helping small businesses grow and thrive by enabling entrepreneurs to work toward their financial goals. For bookkeepers, Xero automates many basic functions allowing you to do tasks quickly and easily while maximizing your time, build relationships with your clients and have instant growth results. Xero is helping over 1 million subscribers worldwide transform the way they do business and they’re just getting started. To learn more about Xero, visit this link. To sign up for a 30-day free trial, click here. For Keri's LinkedIn page, explore here. These are some of the applications that are out there and within reach to streamline your business and make it grow. 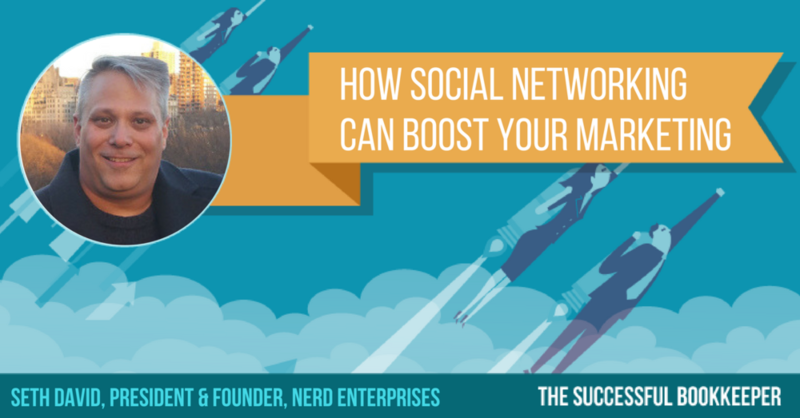 Seth David, Chief nerd and President of Nerd Enterprises, Inc., built his company through his confidence of making training videos which created a powerful online lead generation engine that has people calling him for his services. Today, Nerd Enterprises, Inc. is one of the leaders in the small business accounting world in online training by offering courses on a wide range of software products. For his LinkedIn, click here. For his Facebook page, click this link. For his Google+, discover here. For his Youtube channel, check this out. We all need balance in our lives and she perfected it. 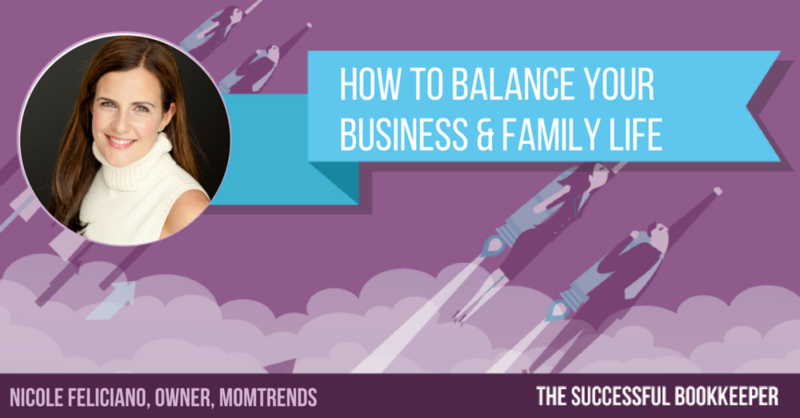 Our guest, renowned publisher, founder & CEO of MomTrends, Nicole Feliciano, did this by understanding her priorities, taking action and making mindset changes that would alter her life for the better. Work-life balance is possible and you're about to find out some tips to help make it a reality. To learn more about Mom Trends, visit here. For her Twitter account, discover here. For her LinkedIn page, check this out. For her Instagram, explore here. For her Pinterest, go here. Those are the keys to attain success and become the Intuit Firm of the Future Global Winner. According to our guest, Karine Woodman, who is the owner of 24hr Bookkeeper, putting everything into experience will help bookkeepers avoid costly mistakes. To learn more about 24hr Bookkeeper, visit here. For her Facebook page, check this out. They play an important role to a successful bookkeeping business. 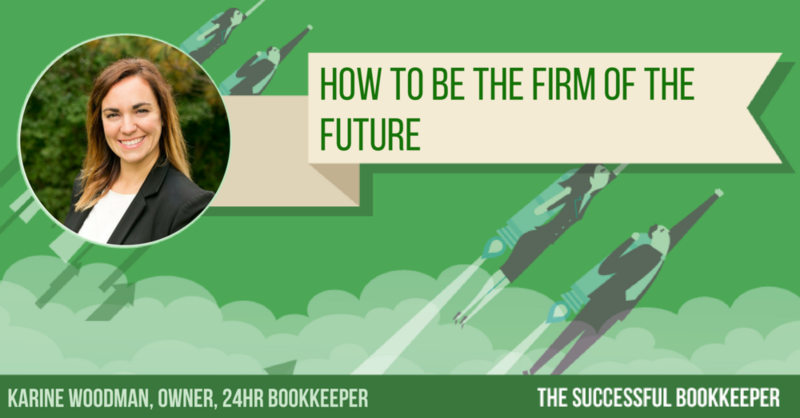 According to our guest, co-founder & CEO of Receipt Bank, Alexis Prenn, bookkeeping should be a very profitable business and Productivity Manifesto explains how you can make this a reality. Productivity Manifesto will help you learn how focusing on one key ratio can be the foundation for building a productive, profitable, and scalable bookkeeping business that’s ready for the future. To find out more about Alexis & Receipt Bank, click here. To check out Alexis' previous episode, listen here. To download his Manifesto, click here. To check out his Twitter, discover here. It's a powerful tool in bringing together like-minded people to create supportive communities. That's what we have with The Successful Bookkeeper Facebook group. It's filled with great bookkeepers who are always willing to help each other. Recently, we mentioned to them that Ben Robinson, the founder and chief teacher at the Bookkeeper Business Launch program, would be returning to our podcast. So, we asked them to pass along any questions. Ben was more than happy to answer and deliver incredible insight. To find out more about Ben, visit LearnToBeABookkeeper.com. To find him on Facebook, visit this link. 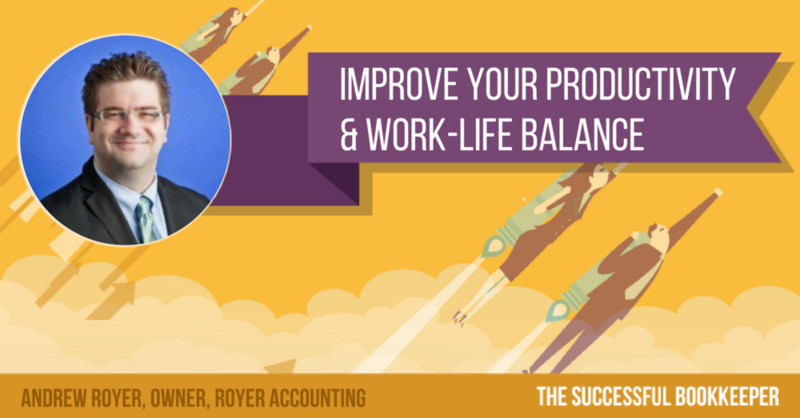 To check out his previous Successful Bookkeeper podcast episode, listen here. To join The Successful Bookkeeper Facebook group, click here. Everybody loves the sound of that. CPAacademy.org offers a free, easy-to-use platform for knowledge sharing and idea exchange through the marketing and presenting of the most up-to-date educational content and developments important to the accounting profession. 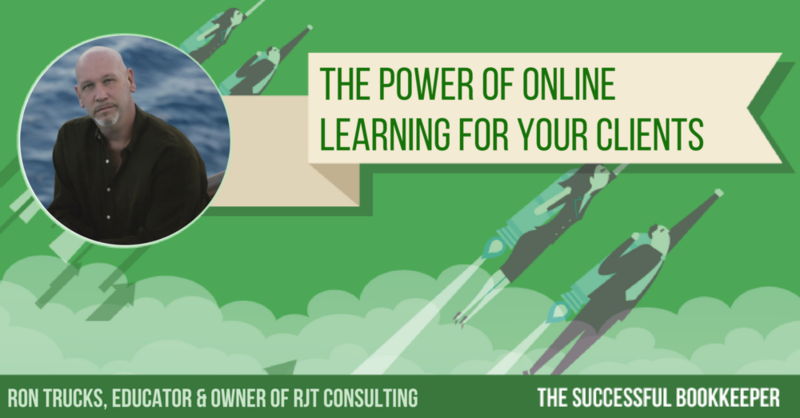 According to our guest, CPAacademy.org President, Scott Zarret, his website isn't just for accountants, but bookkeepers can also receive great value by consuming its online courses and live webinars. To stay ahead of the game, it's important to have a continuous thirst for knowledge, so that's why a useful resource like CPAacademy.org can definitely be an asset as you grow your business. To learn more about Scott's website, visit here. To read his story, click here. To watch his video, check this out. To reach out to him, email Scott@cpaacademy.org. For those bookkeeping businesses that do, especially startups, it can be challenging to find them. Many bookkeepers aren't comfortable with prospecting because they'd rather just do the books. According to our guest, Omar Visram, who is the co-founder of Enkel which is a Vancouver-based bookkeeping practice, it doesn't have to be hard. When he began his business in 2016, he leveraged the power of coffee meetings for business referrals and it worked incredibly well. It was such a hit, his firm now has over 15 employees to handle the increased workload. To learn more about Omar and his firm, visit this link. To read his LinkedIn article, “Why I Quit My Dream Job”, click here. If you think it's going to be a bad day, chances are it will. You're in control of your attitude and mood. Many of us forget that. 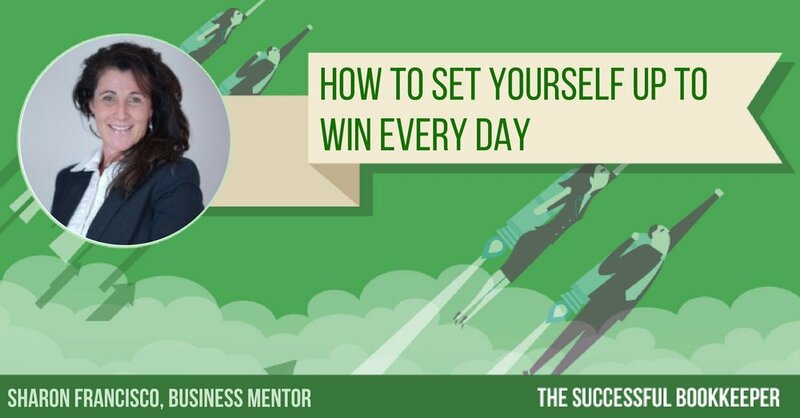 According to business mentor, Sharon Francisco, who used the Pure Bookkeeping System to skyrocket the success of her bookkeeping business, you have to start your day right. Since many bookkeepers are operating solo, it's hard for them to be their own champions. Negative thoughts and doubts always seem to find a way into their minds. There are ways to break those mental cycles and become the confident and successful bookkeeper you are capable of being. To learn more about Sharon, visit this link. To view Sharon's goal planning guide, sign up for our Free Resources below then look for the title of this podcast episode then click on it for access. 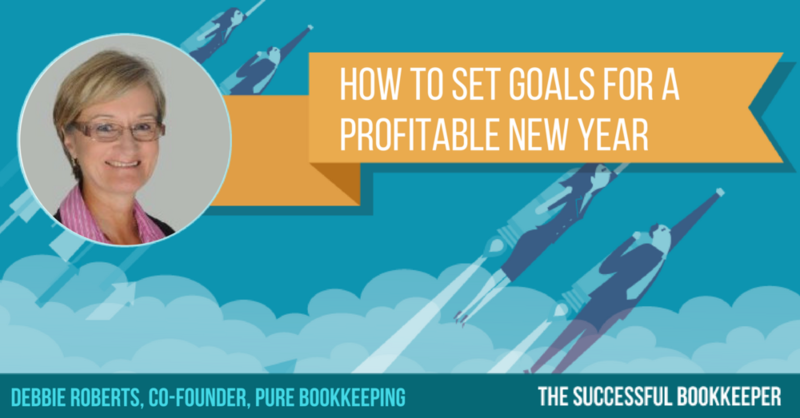 You know, the one that tells her clients to set business goals for the year, but she, herself, doesn't set any? Our guest, Pure Bookkeeping co-founder, Debbie Roberts has chatted with bookkeepers like that. She's discovered that if you don't take the time to set goals, you'll wander aimlessly without achieving what you'd like. Don't begin a fresh year like that. To learn more about Pure Bookkeeping, visit this link. To view Deb's KPI report/spreadsheet template, go here. To ask Debbie questions in The Successful Bookkeeper Facebook group, join here. To buy the E-Myth Bookkeeper, click this link. Yes, if you lose money, you can make it back, but once your time is used, it'll never return. 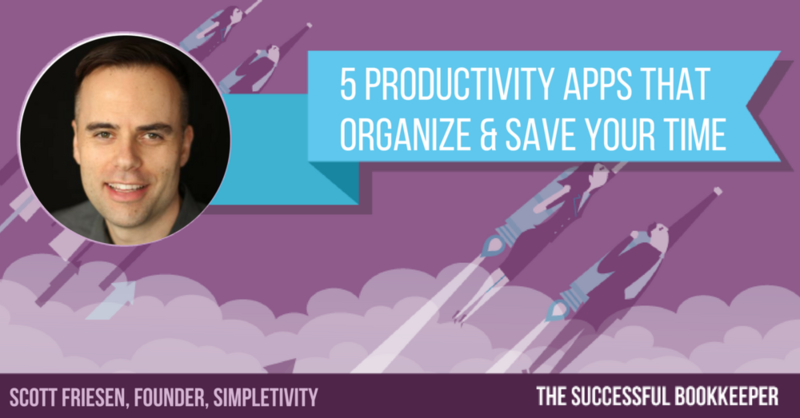 With this in mind, our guest, Scott Friesen, who is a productivity expert, will help you better organize your time by introducing us to some great tools. To find out more about Scott and his company, Simpletivity, click here. To watch Scott's productivity videos, visit his YouTube channel at this link. 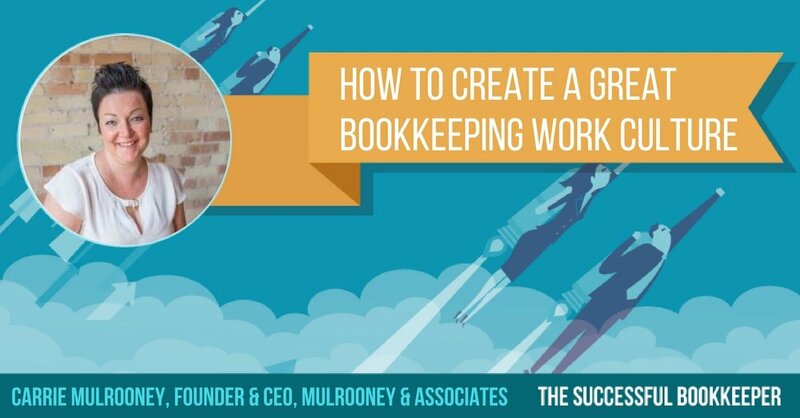 Do you run a bookkeeping business only because it makes money? Our guest, Jeremy Allen, who owns System Six Bookkeeping which generates over a million dollars per year, has his own answer. At the end of the day, it's about assisting businesses to become as healthy as possible so they can flourish which ultimately helps our economy, feeds families and provides the quality of life you'd like. To find out more about Jeremy, click here. It's an online learning and teaching marketplace with over 55,000 courses and 15 million students. Recently, on The Successful Bookkeeper Facebook page, we noticed today's guest, Ron Trucks of RJT Consulting, posted a link to his Udemy course, Bookkeeping Basics, which received incredible engagement from our community. The course is 3 1/2 hours long and features 55 video lessons. Originally it was for people from non-bookkeeping backgrounds such as small business owners. So, why would established bookkeepers want to invest in a course that is mainly for beginners? To find out more about Ron, click here. To use The Successful Bookkeeper discount for Ron's Bookkeeping Basics course, visit this link. As you probably know, they can be an emotionally, financially and psychologically expensive decision for your bookkeeping business. If you don't have the RIGHT people working for you, you'll be inviting a storm of trouble. This is why it's absolutely crucial to bring employees on that are a fit. Today's guest, Carrie Mulrooney has some insight. She is an expert in establishing great work culture. Her company, Mulrooney & Associates, was named Canada's 2017 Bookkeeping firm of the year, so she knows what it takes to form a fantastic team. To find out more about Carrie, click here. If your systems regarding it aren't great, your whole bookkeeping business suffers. Today, there are plenty of tools in the marketplace that help heal this pain point, but today we'll focus on one - Receipt Bank. Receipt Bank extracts the key information from your clients' bills, receipts and invoices, removing the need for manual data entry. It then allows you to publish this data directly to their accounting software. To find out more about Receipt Bank, click here. According to the Canadian Revenue Agency, that's how many there are in the Great White North. You can only imagine what the number is in the United States. But, here's the thing, many bookkeepers across North America haven't taken leadership with their client relationships. Many choose to “fit in” by adapting to the software and workflows their customers currently have as opposed to letting the clients know how they want the working relationship to operate. 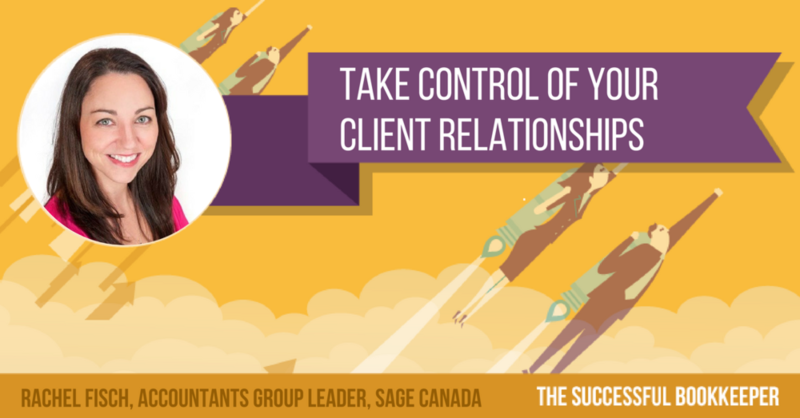 According to Rachel Fisch, Accountants Group Leader at Sage Canada, the reason is bookkeepers are at odds with saying NO. They're kind people and problem solvers. They usually don't like conflict. But today, it's important to remember one thing. YOU have the choice to select the clients, software and workflows you want to work with. Hopefully, this episode will help you realize that. To find out more about Rachel, click here. To follow her on Twitter, here's the link. To learn about the Sage One Certification Tour, go here. To discover the Canadian Sage Advocates Facebook Group, visit here. To let Rachel know about your client spreadsheet exercise results, you can chat with her in The Successful Bookkeeper Facebook Group by joining here. 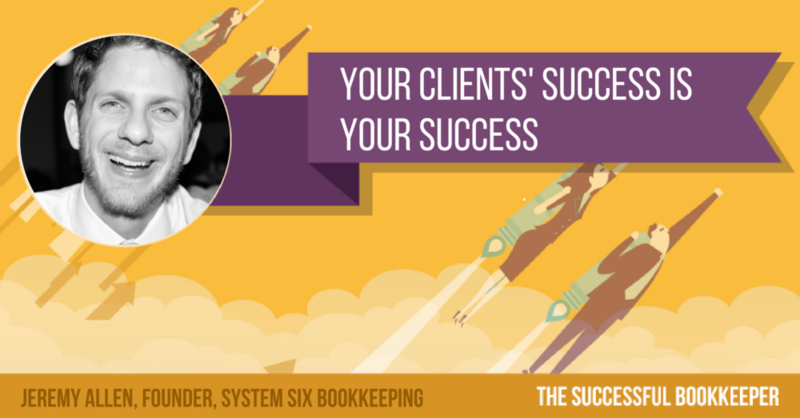 EP62: Megan Goodall - Are You Afraid To Turn Away Bookkeeping Clients? It lives within many business owners who are struggling to make revenue. When the panic heightens, they're likely to accept any clients that walk through the door. But, here's the thing, not all of them are a fit. In fact, by agreeing to help those bad apples, they sometimes end up costing you more in the long run. So, why don't bookkeepers say NO more often? Well, it's likely because of FEAR. Many don't want to lose the income. 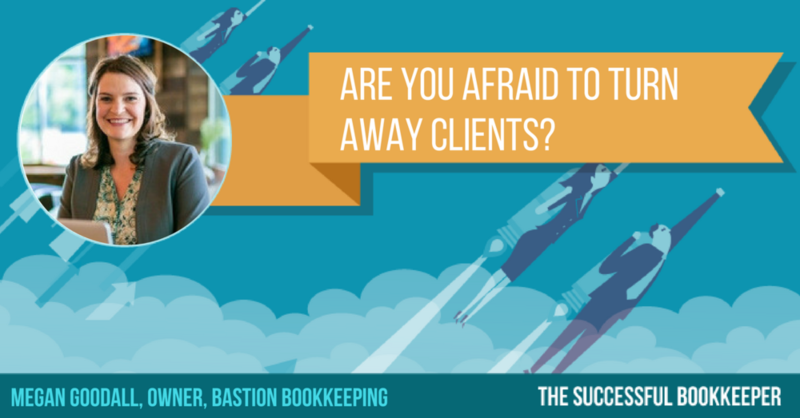 Our guest, Megan Goodall of Bastion Bookkeeping is the classic example of how you shouldn't let fear paralyze you when it comes to recruiting new clients. She's realizing the magic formula is about knowing what you want your life and business to look like FIRST then finding the customers that will support your vision. To find out more about Megan, click here. To connect with her on LinkedIn, visit this link. You can also email Megan at megan@bastionbookkeeping.com. 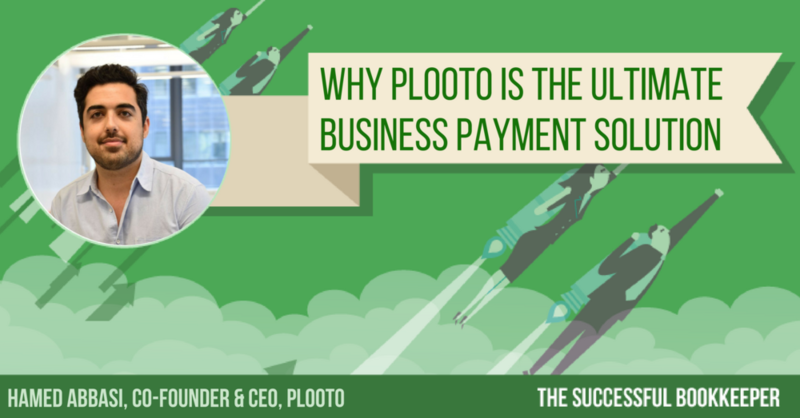 According to our guest, Plooto Co-Founder & CEO, Hamed Abbasi, that's the percentage of North American businesses that still use cheques daily to make payments. In today's advanced technological age, that's hard to believe. Fortunately for bookkeepers, Plooto is a business-to-business payment management platform that makes things easier. To find out more about Plooto, click here. 1 - Sign up with a Plooto account at this link. 2 - Enter the promo code, PURE17 under "Settings." 3 - If you need help on any of the above, click this support article. Yes, Artificial Intelligence has and will continue to take away some duties from bookkeepers, but according to our guest who is the founder and chief teacher at the Bookkeeper Business Launch program, the future is something to look forward to and not to be feared. Ben Robinson has helped thousands of people start their own virtual bookkeeping businesses and along the way has realized relationship building with clients and becoming their trusted advisor will protect bookkeepers from the AI invasion. To check out the Bookkeeper Business Launch Facebook page, go here. To buy the book, Feel The Fear & Do It Anyway by Susan Jeffers, click this link. EP59: Debbie Roberts - Round 2! More Answers To Your Bookkeeping Questions! 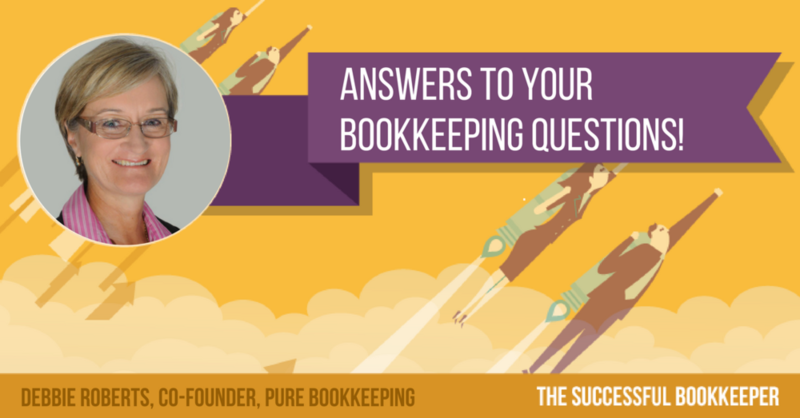 After Pure Bookkeeping co-founder and E-Myth Bookkeeper co-author, Debbie Roberts did such a great job answering bookkeepers' questions in her previous appearance, she has returned to answer some more! As you've heard, it's quickly taking over some bookkeeping duties and it doesn't appear to be slowing down. However, there's a way to keep your business viable during these interesting times. According to our guest, Evelyn Jacks, who is the founder and president of Knowledge Bureau which is Canada’s leading tax and financial services post-secondary educational institute for continuing professional development, you need to be a trusted advisor. Artificial Intelligence can't replace the human touch of offering guidance to your clients. To become a trusted advisor, you have to be on top of your education and always be learning, so you can utilize that insight. To find more about Evelyn & Knowledge Bureau, visit here. So, you want to grow your business to the next level? As you probably guessed, it's not easy, but it can be done and there are many ways to get there. For our guest, Cheryl Knight of the Balcatta, Australia-based, Carbon Bookkeeping, she partnered with others to form a mega firm where she runs her $1 million dollar business inside a $7 million dollar one. It's a unique situation, but it's one that likely wouldn't have happened if she hadn't set up her business for success beforehand. To find out more about Cheryl, click here. To learn about her bookkeeping firm, view this link. To explore her training centre, go here. You can also chat with her on The Successful Bookkeeper Facebook Group. You can join at this link. To access the Pure Bookkeeping Business Blueprint, visit here. As a result, prospects have a lot of choice, so what makes you stand out? Why should someone choose you over another bookkeeper? Today's guest, Dorie Clark, who is a branding expert, author and speaker that has worked with Google, Microsoft & Yale University, feels you can get an advantage by becoming a recognized expert. To find out more about Dorie, click here. To order her new book, Entrepreneurial You, go here. EP55: Debbie Roberts - Answers To Your Bookkeeping Questions! Pure Bookkeeping Co-Founder & E-Myth Bookkeeper Co-Author, Debbie Roberts has been in the bookkeeping industry a long time. She's made every mistake possible, but learned from them and eventually documented all her wisdom into systems she would use to successfully run her bookkeeping business. Today, she's on the podcast to answer YOUR questions! To listen to the Lynne Moore Successful Bookkeeper episode mentioned, go here. Without your team members, you'd likely be drowning in client work right now. But, fortunately, you have great people working with you that believe in you and your company and are providing terrific results. Sometimes, though, things can get busy and, as a business owner, you might forget to let your staff know how grateful you are for their efforts. It's important to acknowledge their excellence and help them grow in their roles. Our guest, Tammy Christiansen of Aeble Business Services realizes this and has seen her business prosper as a result of taking care of her staff. It truly does make a difference. To learn more about Tammy, visit this link. To find her on The Successful Bookkeeper Facebook Group, you can join here. You don't need to be alone. As a bookkeeper, it's pretty easy to isolate yourself especially if you're a solo practice working from home. For some, they don't even realize how big of a community of bookkeepers there is in the world. Our guest, a marketing and branding expert for bookkeepers, Amy Hooke had no idea. In the early days of her bookkeeping business, she was too busy dealing with terrible clients to notice. But, that all changed for the better. Today, she's a part of a supportive group of bookkeepers that give her the confidence she never had before. Being with these like-minded people definitely changed her world for the better. Joining a bookkeeping community can do the same for you. To learn more about Amy, go here. To access her free "The Perfect Bookkeeper Website Training", click this link. It might sound boring, but when it comes to creating systems, that's what you want in order to ensure you and your staff create the same positive result over and over again. 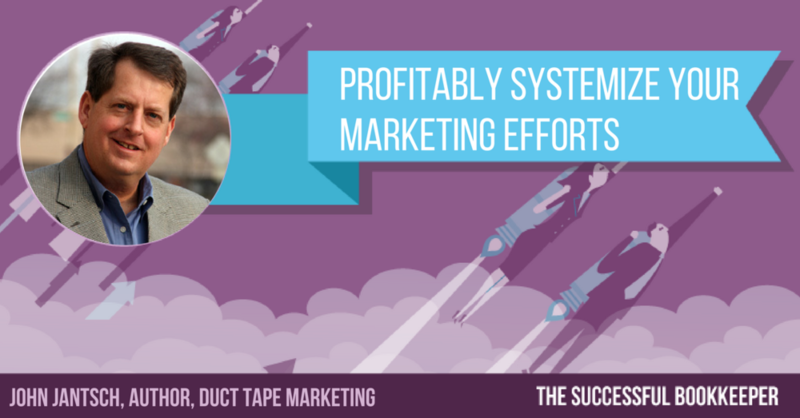 Today's guest, John Jantsch, the author of the popular book, Duct Tape Marketing, has some tips on how you can fine tune your marketing efforts. To learn more about John, go here. That question has crossed the minds of many bookkeepers when first starting their businesses. It's perfectly normal and it's something that our return guest, Debbie Roberts asked herself in the beginning. She was concerned that if her bookkeeping services weren't good, her reputation would be damaged and that would affect her business. It scared her that, as a small business owner, she didn't have any backup. Fortunately, for her and bookkeepers worldwide, the co-founder of Pure Bookkeeping and co-author of The E-Myth Bookkeeper overcame her fears and became a tremendous success. But, what if there were ways to be more at ease around people and have win-win partnerships with them? Today's guest, Siobhan Harrop-Scott of Harrop Scott & Associates Ltd., has some ideas that just might help. Through her bookkeeping business, she's developed hundreds of connections and has become a terrific leader for her staff. To learn more about Siobhan, visit here. How do they hear about your bookkeeping business? Do you do in-person networking? Do you advertise in local media? Do you solely use referrals? Our guest, Katrina Aarsman, who is from Melbourne, Australia and is the owner of Bookkeepers HQ where she mentors bookkeepers, has some strategies that you can add to your marketing basket. To learn more about Katrina, visit here. To check out her free resources, click this link. If you'd like to email her, you can do so at info@bookkeepershq.com.au. For your bookkeeping business to be successful, you'll need to invest money into products, programs, systems and tools to ensure your operation has all the resources it needs to deliver great service to your clients. This reality is one our guest, Peter Broberg of Monitor Bookkeeping Services based in Perth, Australia, accepted and has never looked back. To learn more about Peter, visit here. For a 30 day free trial of Pricing In The Cloud, the sign-up code is VIPTrial30 & you can register at this link. To email Peter, send your note to peter@monitorbookkeeping.com.au. Starting out is always scary. There are so many unknowns which makes it incredibly easy to stay in your comfort zone and not take any chances. Our special return guest today, the lovely and talented, Debbie Roberts of Pure Bookkeeping, remembers what those times were like. Fortunately, with the help of her longtime business coach and co-founder of PB, Peter Cook, she overcame those fears and realized her true potential as a successful bookkeeping business owner. For those of you who are just beginning your bookkeeping entrepreneurial journey, don't worry, Debbie is about to give you some golden tips to help you through the bumps. To learn more about Debbie & Pure Bookkeeping, visit here. To connect with Deb on The Successful Bookkeeper Facebook Group page, you can join at this link. To investigate The E-Myth Bookkeeper book, explore here. To discover the Pure Bookkeeping 7x5 Marketing plan, sign up for our free resources.